1. Introduction: Young, White, Male and Working Class. 2. The Rise of Poor Work: Employment Restructuring and Changing Class and Gender Identities. 3. The Contemporary Crisis Of Masculinity: It's Hard To Be(Come) A Man or The Problem of/for Boys. 4. Living on The Edge: Marginal Lives In Cambridge and Sheffield. 5. Leaving School: Pathways To Employment and Further Education. 6. Actively Seeking Employment: Committed Workers and Reluctant Learners. 7. Uncertain Transitions: Accidental and Incidental Workers, The Excluded and Escape Attempts. 8. Performing Identity: Protest and Domestic Masculinities. 9. Conclusions: What Is To Be Done About Boys? "This book will appeal to a wide audience. It so adroitly sums up the state of play in a number of arenas: the contemporary UK economy and the future of work, current debates about gender and identity, the “crisis” of masculinity, and the emerging “problem” of white, working-class boys floundering to hold down jobs and identities that are increasingly ‘redundant’." 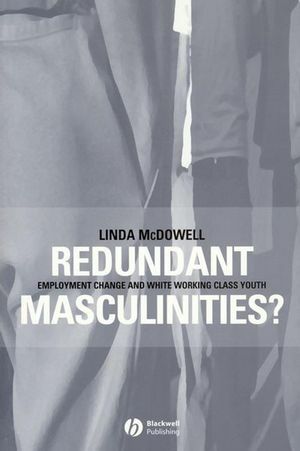 "Much has been written about the so-called 'crisis of masculinity' but rarely have its contours been charted in such as precise way and with such clear empathy for those at its cutting edge."